In the early part of the 20th century, scientists believed that the brain develops only during one’s childhood. After some time, it reaches a stasis point when it stops changing, much like a clay figure hardening into its final shape. Late into the 90’s, however, researchers found that this wasn’t the case—the brain does change well into adult life and can even generate new cells. When we experience new things or absorb new information, the brain readjusts its connections and forms neurons. In other words, that mental clay never fully hardens. How does it work? Say you heard a song that you immediately liked. You put it on your replay list, learn it endlessly, even sing it in the car or in the shower. By learning that song, you have created new pathways in your brain. This also happens when you learn new skills. Your brain changes shape, and the areas of your brain that are related to those skills even grow as you get better. The other side of the coin is something called synaptic pruning. In this process, the brain gets rid of unwanted or unneeded neural connections in order to keep its processes more efficient. Think of it as decluttering, like dumping useless files from your hard drive so your computer runs faster. Neuroplasticity has shown to be effective even when the brain itself gets injured. Studies on mice have shown that, when one portion of their brains got damaged, the cells surrounding that damaged area alter their functions and shape so they could take over for the dead cells. While not as extensive in humans, our brain cells can also adapt in the event of injuries. So we know that brains can get better—can they also get worse? The answer is yes. Apart from injuries, stress can stop brain development. If you are under stress for some time, it causes a spike your cortisol, a natural hormone in your brain. Cortisol can actually stop the prevent neurons from developing and even break synapses. 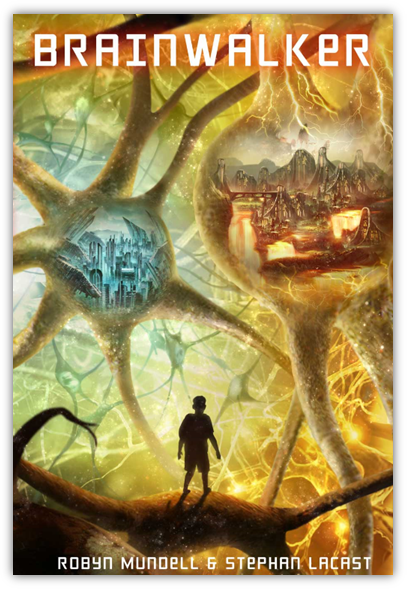 In the science-fantasy novel Brainwalker, Bernard’s dad Floyd goes through a tough period after his wife passes away. The severe stress causes the more creative side of his brain to suffer as neurons die away from lack of Energia. This results in less inspiration, less new ideas, and down the road, even mental illness. As mentioned before, learning a new skill opens new neural pathways. So pick up a new language, learn to play an instrument, or master a sport. These habits are sure to bulk up your brain. Studies show that meeting new people opens you up to new ideas, cultures, approaches to doing things—all of which feed the mind. Reading books and gaining new viewpoints is a great way to build new neural pathways. You also have to feed your brain good food as well as reduce stress. Meditation, eating healthy food, and adequate exercise all help keep your mind fit. Try some brain plasticity exercises to keep your mind limber. Skill-based video games also help, but keep in mind that as you master the game, the returns diminish as it no longer sharpens your brain as much as before. Keep up the challenge by moving on to new ones. Do you have your own ideas for building “new”-rons? Share them with the rest in the comments below.